Static Hourglass is an ARG, connected to a series of mysterious tapes that have initially appeared in the Bay Area. On November 3rd, 2017, a tape was found under a bench in Sonoma County, CA. The next day, another, identical tape was found in a local music shop near the location of the first tape. In the same week, yet another identical tape was found on a bus in Fort Lauderdale, FL. The tapes contain roughly 65 minutes of shortwave radio sounds, interspersed with clearly marked, but intermediate to very difficult clues. The initial discussion about these tapes started on November 5th, on 4chan. On November 8th, 2017, the discussion was moved from 4chan to a Facebook group. On November 9th, 2017, a Discord server was created to further discuss the tapes. 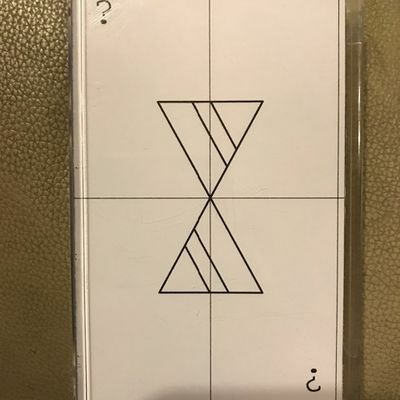 On November 10th, 2017, members of this Discord channel have distributed CD copies of the tape in Prague and London, in an attempt to find more people to help solve the mystery. After a month, on December 7th, 2017, the word about the tapes found their way onto the Game Detectives Discord. A rip of the tape's contents are available on Soundcloud, while the puzzles contained within can be found here. I'd like to simplify this part. Let's fast-forward a bit and find every note. The Pastebin has city names as the first words of each sentence, and a movie quote following that are meant to have a connection to the past 16 clues. synthpirategreg meant the city names to be found by using the past clues to find a resemblance to the cities, but he thought it was far-fetched and instead opted to posting the clues out of order, while still using the past clues to solve it. As of right now, the clues are currently unsolved.